The Teal Warrior: Two Down. Four to Go. Had my 2nd round of Doxil/Carbo Monday. My blood counts are really good. Sodium a little low most likely due to ongoing diarrhea. I just keep slugging back water. Nausea remains problematic. I have a new med for that but it adds to my fatigue. My team told me I'd have a repeat scan after All 6 rounds are finished. In the meantime I'm waiting for result of latest CA-125 that was drawn Monday. That's about it. Love you all. Grateful to God and thank you for prayers. 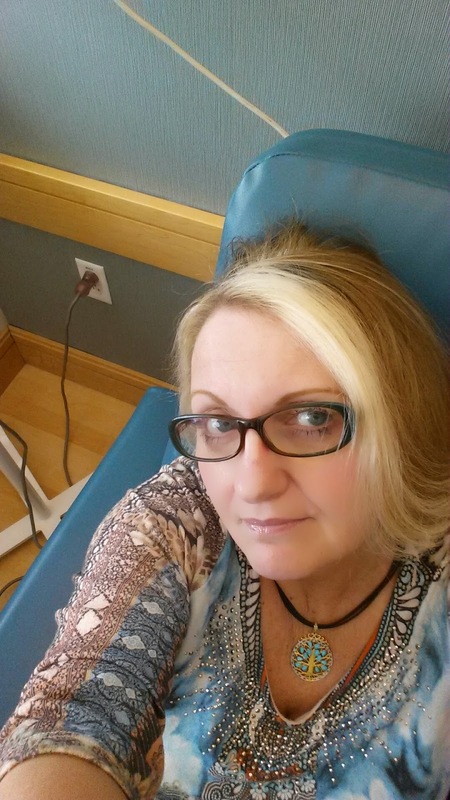 UPDATE 4/21/15 My CA 125 (test that measures tumor markers in my blood) results remain elevated. They've increased from 126 to 131, after 1st treatment with doxil/carbo. I'm not losing hope though because the doxil is a slower working drug. I expect the number to begin a decline over the next few treatments. If not then we will have a game change.